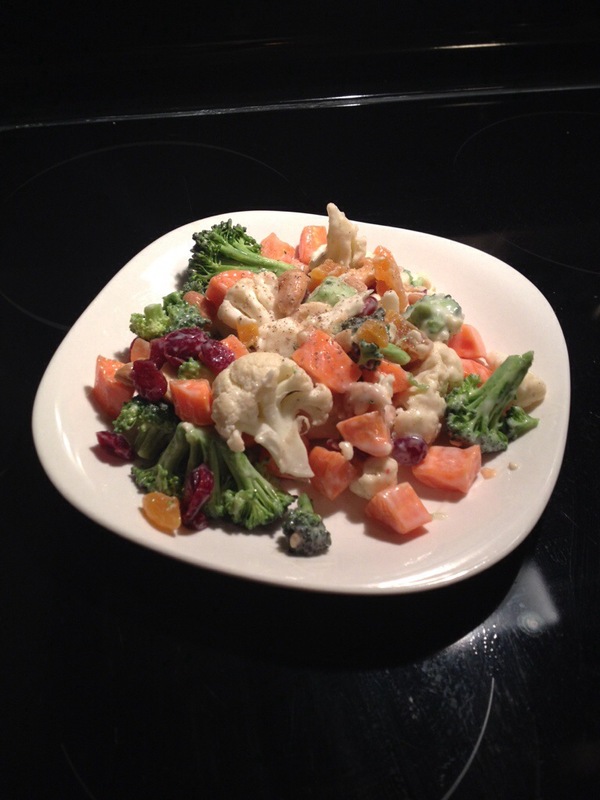 Cut the broccoli, cauliflower and carrots into bite-size pieces. Place in a large bowl. Add the cranberries, apricots and cashews. 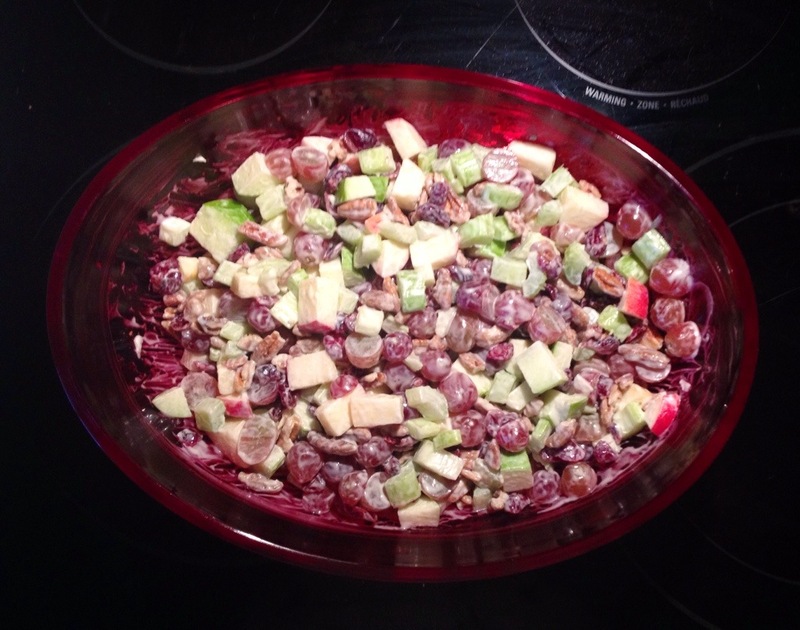 Add to crudite mixture and toss gently. Prepare the Poppy Seed Dressing. In a medium bowl, combine all the ingredients together until well blended. Set aside. Prepare the salad. 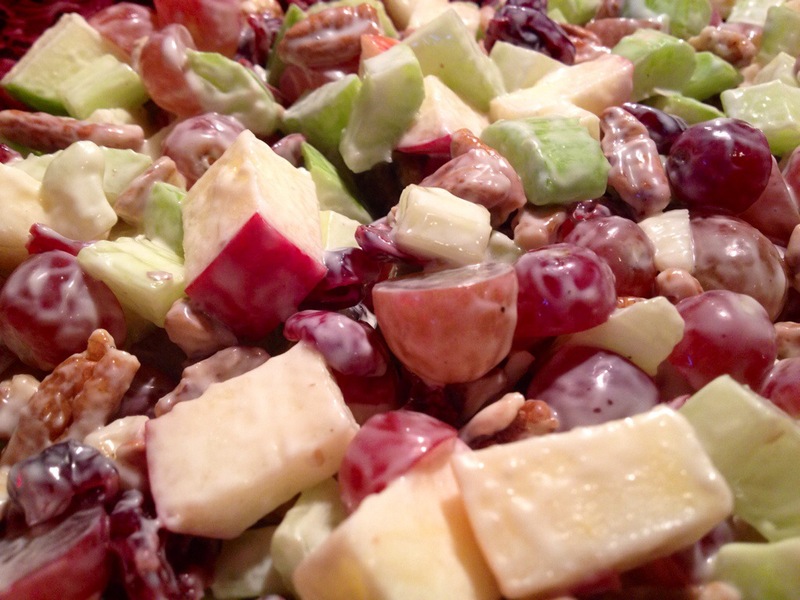 In a large bowl, combine the cabbage, apples, cranberries, and pecans. Pour in the reserved dressing and toss until well blended. Refrigerate at least 1 hour before serving, mixing the salad at least once to evenly distribute the dressing. 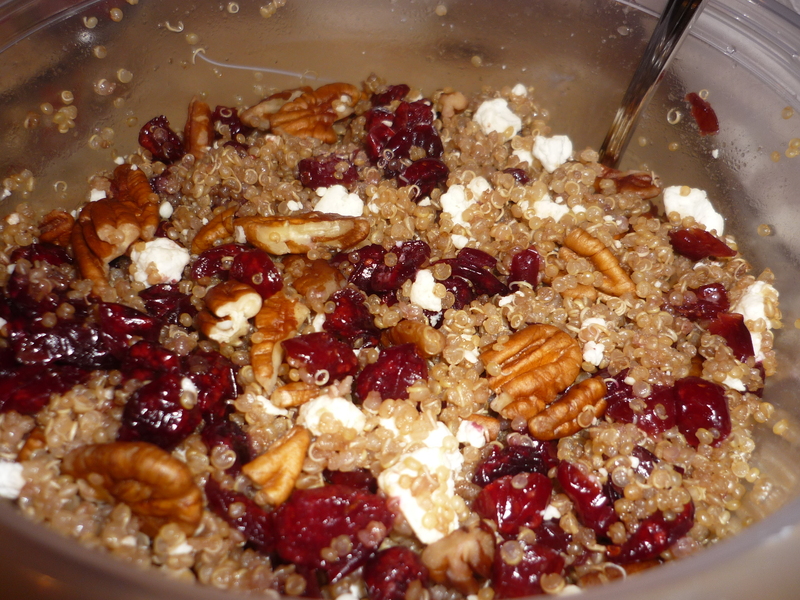 In a large saucepot, boil water once at boil add oats and reduce heat to a simmer. Keep at a low simmer for 25 minutes, without stirring. 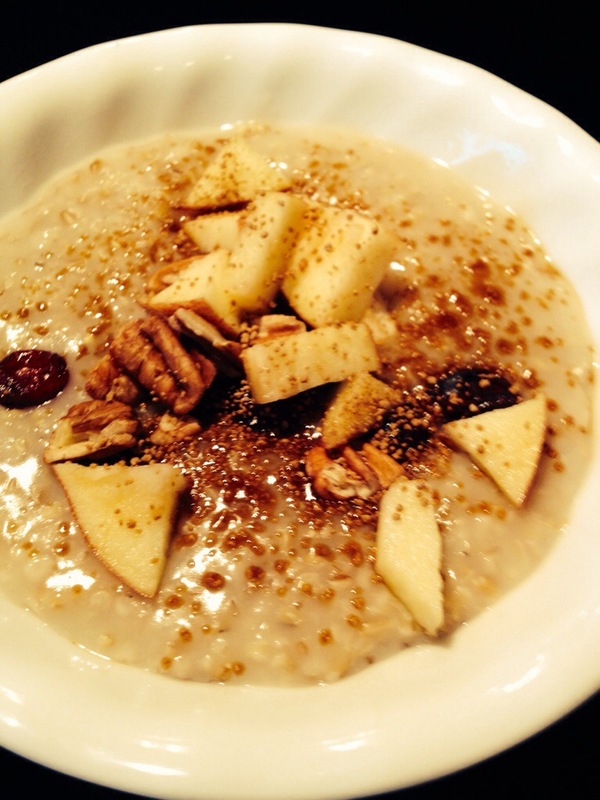 Many people have New Years Resolutions, I am one of them, mine is the – standard – weight loss! So experimenting with salads is key for me. 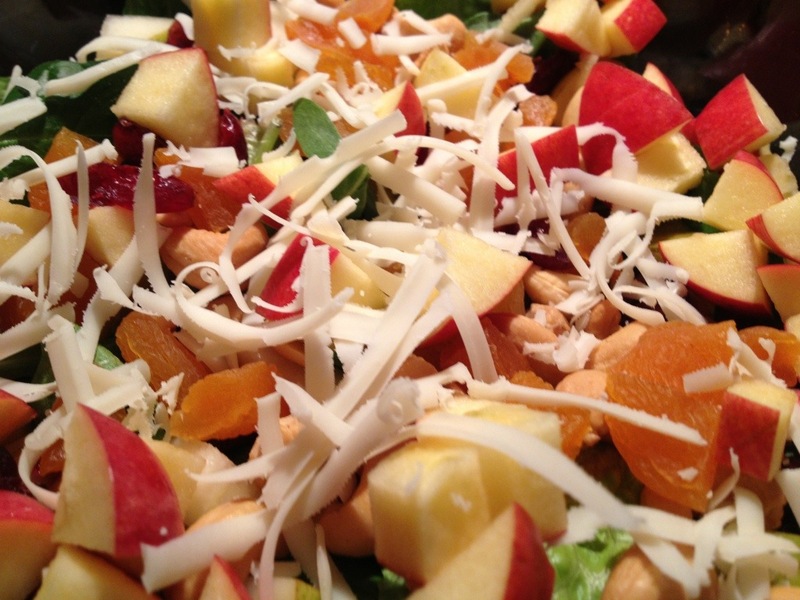 Salad ruts seem to hinder weight loss. 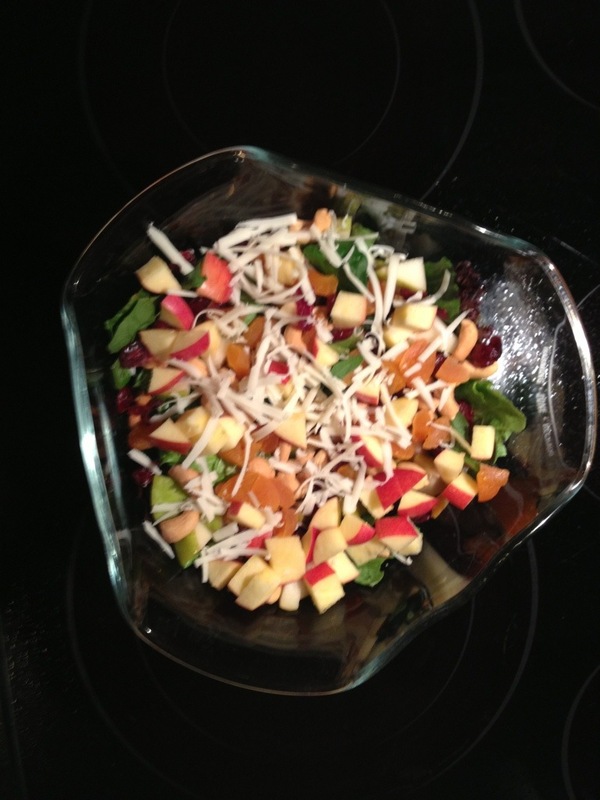 Here is the latest salad experiment, so far so good! Enjoy!